On August 3rd, EPA issued its CPP, which imposed an emissions reduction goal for each state. EPA has forced each state to develop their plan to get emissions carbon reductions to 32% below 2005 levels by 2030 or else face the prospect of the EPA imposing its own draconian plan on them. States have only until September 2016 to submit initial plans to EPA and September 2018 to have them finalized and approved by the agency. Despite these early deadlines, EPA held off publishing the rule in the Federal Register, as it is required to do under the Clean Air Act, until October 23, 2015. Publication in the Federal Register opened the period when groups like E&E Legal could seek court review of these rules. As published in the Federal Register the CPP has two major prongs. The first deals with existing power plans called the “Carbon Pollution Emission Guidelines for Existing Stationary Sources: Electric Utility Generating Units: Final Rule.” It was published in the Federal Register at 80 Fed. Reg. 64661 (10/23/15). The second addresses any new power plants that are to be built. Called “Greenhouse Gas Emissions from New, Modified, and Reconstructed Stationary Sources — Electric Utility Generating Units,” it was published in the Federal Register at 80 Fed. Reg. 64509 (10/23/15). Once these rules were finally published, many parties rushed to challenge the EPA’s plan. The Clean Air Act creates a 60 day window during which the D.C. 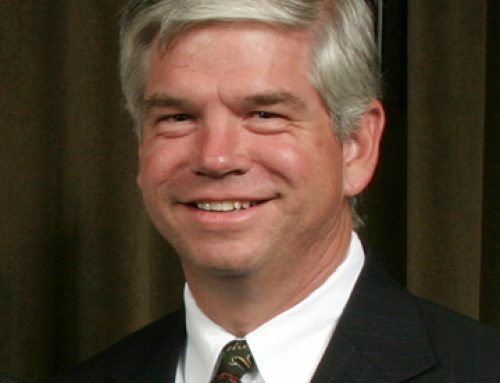 Circuit Court may be petitioned to review a new rule promulgated under the Act. On the first day this period opened, more than 18 petitions, representing over 100 petitioners, including 24 state governments, were filed against the first prong of the EPA’s plan, which deals with existing power plans. In addition to states, these rules were challenged by industry, utilities that would have to operate under these rules, unions whose workers would be harmed by these rules, and non-profits. As the number of challengers grew to 26 states and over 126 petitioners in 25 petitions for review filed with the Court, the Circuit moved to consolidate the petitions. This unified all petitioners into a single case, making it easier for the Court to manage, and to allow petitioners to work together to avoid duplication of work. 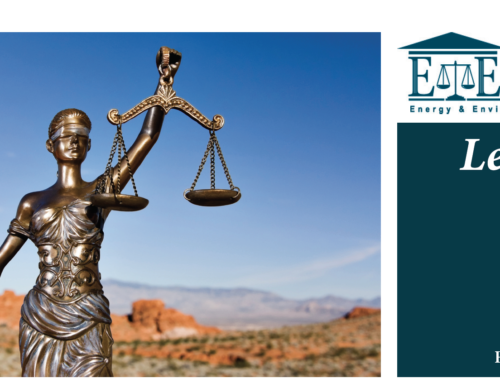 E&E Legal, whose petition was filed in Energy and Environment Legal Institute v. Environmental Protection Agency, No. 15-1398 was consolidated with other petitioners under the first case filed, State of West Virginia v. U.S. EPA, No. 15-1363. One of the first things the petitioners did was ask the Court to issue an injunction to stay the rule from taking effect. Nine motions for a stay were filed, while E&E Legal filed a Response in Support of the Stay Motions. The D.C. Circuit considers four factors when considering whether to grant a stay of an agency’s rule, which are (1) the likelihood that the party seeking the stay will prevail on the merits of the appeal; (2) the likelihood that the moving party will be irreparably harmed absent a stay; (3) the prospect that others will be harmed if the Court grants the stay; and (4) the public interest in granting the stay. E&E Legal’s filing focused on the likelihood that those seeking to have the Court reject the rule would prevail by the end of the case. The rule engages in unconstitutional “commandeering “ of state officials and state policy in order to carry out federal objectives and thus violates the Tenth Amendment. 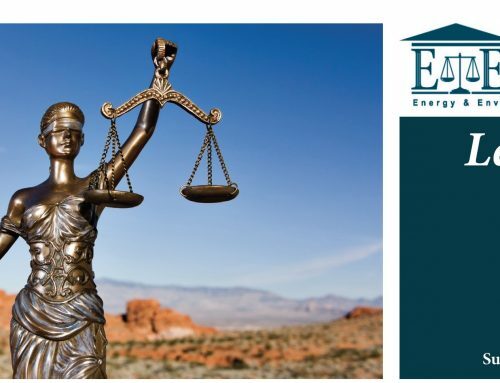 E&E Legal’s Response in Support of the Stay Motions focused on a different issue. As a result of the FOIA litigation E&E Legal has engaged in with the EPA and other federal agencies, it has obtained numerous documents showing the development of the CPP. In particular, these documents show a heavy role outside green groups played in crafting a rule that was designed to kill existing coal plants and prevent new ones from being built. These emails were never publicly revealed nor were they placed in the administrative record when the EPA opened the rule for public comments. 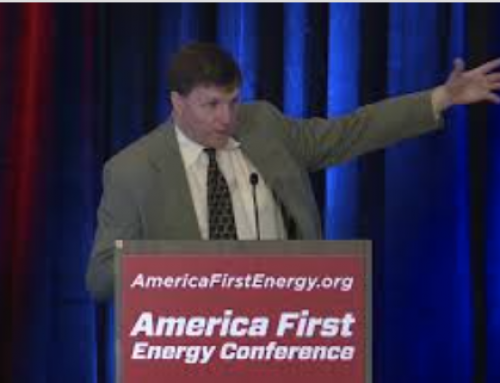 Yet these ex parte contacts between EPA officials, many of whom used to work for green groups, and these activists, changed the rules nature and resulted in the rule that was issued. As E&E Legal explained in its filing, the failure of the agency to proper docket its outside contacts and the failure to properly place so many critical documents in the administrative record violates the Administrative Procedures Act which governs agency rulemaking. At a minimum the EPA should have to withdraw the rule and reopen it for public comments, with the public able to see the full scope of how the rule came into being given how tainted the rule has become. These cases are at the beginning of a very long process. EPA, and the Respondent-Intervenors, which include 18 states, some cities and industry groups that support the rule, will have a chance to respond to the motions for the stay. The Circuit Court will order more expansive briefings on the various legal and factual issues in contest in the case. The D.C. Circuit is unlikely to resolve this until late 2016 or even 2017, after the next U.S. elections. And of course whatever the outcome there, it seems likely that a case that has pitted 44 states against each other and deals with one of the most contentious issues of the day will end up before the Supreme Court.